A Brambl website that provides information in a clear and concise manner. 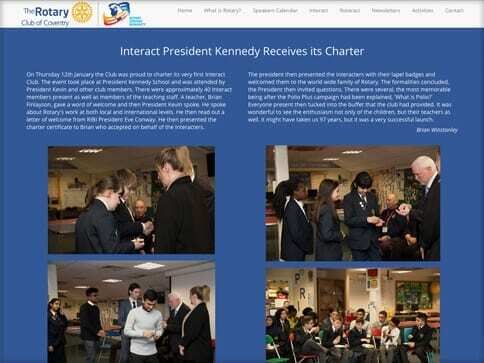 Rotary runs countless humanitarian projects locally, nationally and internationally. 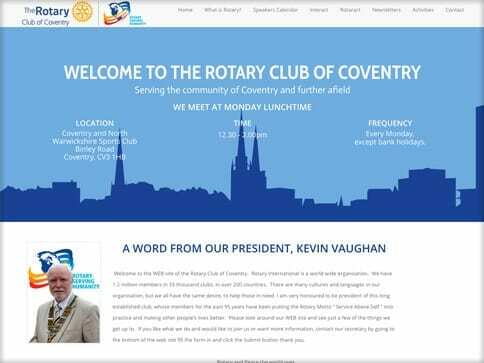 Coventrian Rotarians meet weekly and the website provides updates of meetings, events and activities for all members to see. 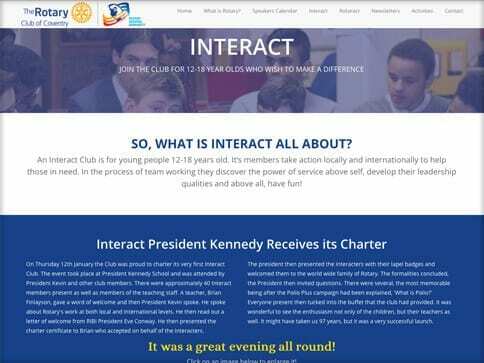 A new page has been recently added to show the activities of the Roteract Club – specifically for young people between the ages of 13 and 30.